Olympic athletes train year-round for their moment in the spotlight. And although the sports of the Winter Olympics are as varied as the countries represented, Olympic athletes use some common training techniques to excel in their chosen sport. Here is an overview of the sports that make up the Winter Olympics and the training methods used by the Olympians. Alpine skiing includes a variety of events in which skiers reach speeds of 70 miles an hour or more as they fly down a mountain. Events include the slalom, the giant slalom, and the nail-biting downhill race. Missing a gate on any course means disqualification, and the fastest time wins. Ski racers generally train on the snow, but dryland training consists of strength, speed and agility drills that mimic their event. Not many people are familiar with the sport of biathlon, which combines cross-country skiing and rifle shooting. Biathletes take their bodies from an all-out cross-country ski effort to a quick shift to the calm accuracy and control required in target shooting. Biathletes train their entire body including their mental focus. Cross-country skiing requires cardiovascular endurance and biathletes often run, rollerblade, cycle, or row. To develop accuracy when shooting, biathletes spend hours with target practice and work on breath control, often swimming to develop controlled breathing during high-intensity exercise. Three Olympic Winter sports that include sliding as fast as possible down an icy tube-like course include bobsleigh, skeleton, and luge. Training for any of these sports requires both power and finesse. Power is required for the push-off start and is critical for a great run. Once underway, driving the sled or steering a luge through the fastest line on the course is where the race is won or lost. Cross country skiing is arguably the most demanding endurance sport in the Winter Olympics. These athletes generally train twice a day, six days a week, throughout the year. Cross country ski racers have been known to have some of the highest Vo2 Max levels of any athletes. Cross country skiing is a physically demanding sport, and skiers pay particular attention to proper rest and recovery, nutrition and injury prevention. In the off-season, skiers run, rollerblade, cycle, or row. Known for its grace, gymnastics, speed, and power, figure skating is often compared to ballet on ice. Consistently a fan favorite, individual and pairs competitions draw some of the biggest crowds at the Winter Olympics. Figure skaters train on and off the ice practicing skills, jumps, and technical moves. Skaters need flexibility, balance, coordination as well as power and endurance. Because figure skaters are judged on their performances, video analysis plays a big role in training. Reviewing each routine helps the athletes and coaches identify areas that need improvement. Freestyle skiing includes aerials, moguls, and ski cross. These sports include a mixture of acrobatics, speed, strength, agility, and endurance and do it all on snow. Aerial specialists have acrobatic backgrounds and often start out in gymnastics and diving. This sport requires power and control. Mogul skiers need quick reflexes, strength and power and train with plenty of plyometrics. The mass start of ski cross favors athletes who are powerful and quick out of the starting gate and have flawless technical skills. Olympic hockey is wildly popular. The game is fast and aggressive, and the players need quickness, speed, agility, and stamina. Hockey players train year-round on and off the ice. This full body, contact sport requires muscular strength, particularly in the legs, hips, and core. Quick starts and stops require excellent technical skating skills and driving the puck requires both upper body strength and accuracy. Training routines for players vary based on what position they play, but teamwork and communication are critical to success, and teams spend hours developing these skills. Watching ski jumpers soar through the air is an awesome sight. This sport requires both power and control. The two areas all jumpers focus on during training include the takeoff, or launch, and the landing. To build a powerful launch, ski jumpers do squats, lunges, and plyometrics as well as stair running workouts. 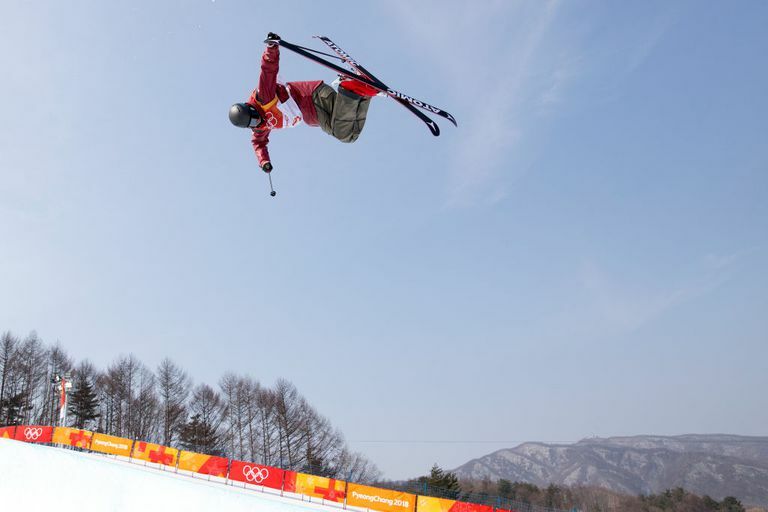 Snowboarding is still relatively new to the Winter Olympics, and most of its stars are young daredevils who come from a skateboarding background. In the sports of a snowboard, success is a combination of acrobatic moves, speed, and flair on the snow or in the air. Snowboarding at the Winter Olympics includes halfpipe, parallel giant slalom, and snowboard cross. The Halfpipe event involves mainly tricks and acrobatics that require agility, power, and balance. Snowboard cross and giant slalom both require speed and skill navigating a ski slope at top speeds without missing a gate. Athletes often use surfing, skateboarding and mountain biking as training in the off-season. Short track speed skating looks a lot like roller derby on ice. Short track skating is a game of tactics and strategy that rely on speed, cornering, and passing. Athletes need power, balance, and finesse to navigate a very tiny oval ice rink at top speeds. Long track skating, on the other hand, combines grace and endurance. Skaters train on and off the ice with a series of drills that build endurance and power. Squats, lunge, plyometrics and endurance training with cycling and running are all part of a skater’s routine.